The Craigtoun Park Railway is a 15 in (381 mm) gauge railway operating on a circular track around part of the Craigtoun Country Park in St Andrews, Fife, Scotland. 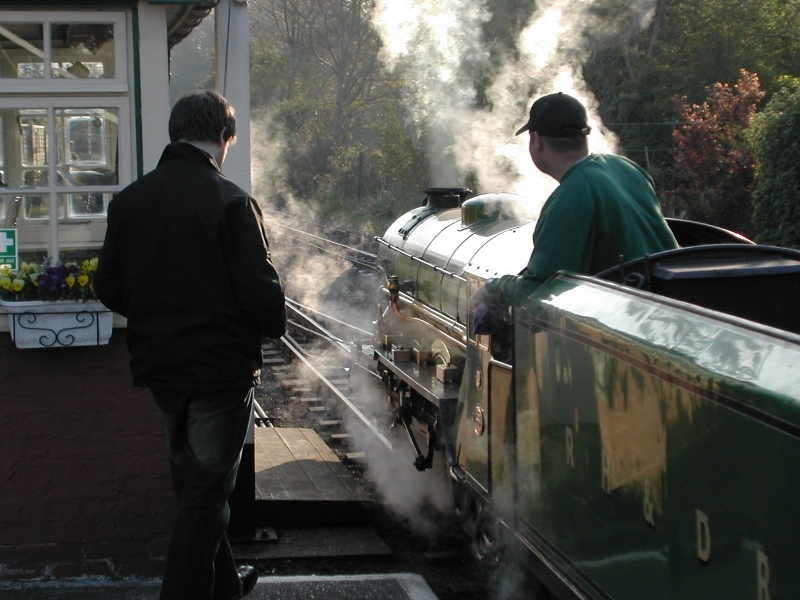 The gauge employed is usually associated with more extensive railway operations, including public transport services on railways such as the Romney, Hythe and Dymchurch Railway in Kent, England. However, the Craigtoun Park Railway operates on a circuit of approximately 400 yards (366 m), and purely as an attraction for families enjoying a day out in the public park owned by Fife Council. The rolling stock, all built by Severn Lamb consists of a two open and one semi-open 'toast-rack' style passenger carriages, with motive power provided by a 2-8-0 steam-outline diesel hydraulic locomotive built in 1973, designed to resemble a North American type steam locomotive of the Rio Grande Railroad. The 15 inch gauge railway has been running at Craigtoun since 1976. Please give us your overall rating for Craigtoun Miniature Railway.